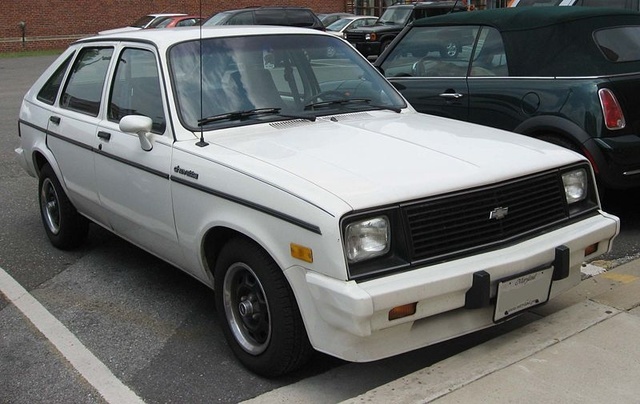 Have you driven a 1987 Chevrolet Chevette? Displaying all 3 1987 Chevrolet Chevette reviews. Cost Effective — This is a car that is good on gas. It needs repairs, but besides that it'll get you to where you need to go. This car is fun to drive and is rare. Not many people drive an 80s car nowadays. This 1987 Chevettes Last Day — Bought this in 1987 for $200 needed allot of work which I did myself. Maggie drove this for a couple years till the fly wheel teeth got so bad it wouldn't start unless you went under the hood and manually turn the crank pulley to a spot where the starter could engage. So me and three buddies decided to have some fun with it before I scrapped it. As you can see the custom paint job we did and even adding a flashing amber light (that really worked) off we went on a tear of the city (kitchener Ont). We drove that chevette so hard that even included some off roading fender grinder trees and it still wouldn't die. So held it down in first and pinned er till it blew up which was amazing almost 9 minutes before she let go ! Pros: Good on gas, cheap parts for repairs and extremely reliable !